Pulling Pants Up Easy in just a few seconds! Click on an ebook to download! 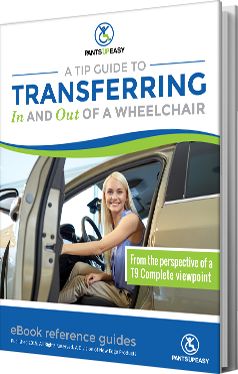 lives of wheelchair users and people with limited mobility alike! Who Can Benefit From Pants Up Easy? 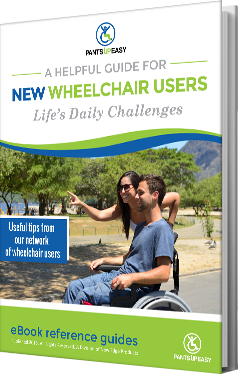 Typical users include all varieties of wheelchair users and people with impaired mobility such as: Amputees, spinal cord injured, people with Muscular Sclerosis, Muscular Dystrophy, CP, etc. as well as those that care and support for those mentioned. 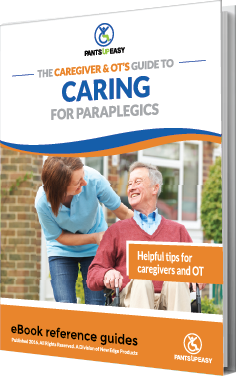 So OTs, PTs, and daily caregivers also receive benefits from their clients using Pants up Easy. Our products are available through our dealer network. We also have special pricing available when you purchase directly from us. Contact us at info@pantsupeasy.com or click the Quick Inquiry button for more information about pricing or for a list of dealers. Is Pants Up Easy Covered By Insurance Such As Medicare? Pants Up Easy may be covered by your personal insurance however is not currently covered by Medicare. Where Can I See The Product Specifications? As a U.S. Service Veteran. 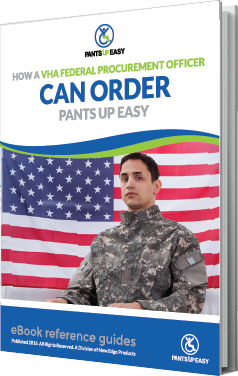 Will The V.A. Pay For Pants Up Easy? Do I Have The Strength To Use The Products? 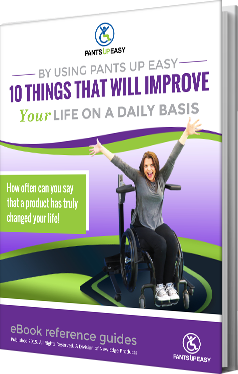 Although every person is different, a simple answer for this question is: If you have enough strength to transfer on and off of your wheelchair by yourself then you most likely have enough strength to use Pants Up Easy.